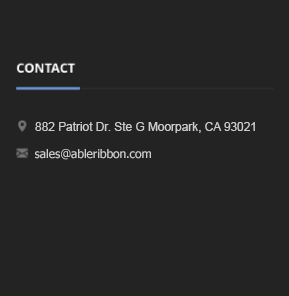 Able Ribbon Technology, Inc. specializes in selling Genuine / OEM inkjet, laser toner, copier and fax supplies for all of the top brands. Most orders arrive to you in 1-2 days. We offer Net 30 Billing to companies to make your buying experience a little easier. We are a 4th generation family owned and operated company. Established in 1987, we have nearly 3 decades of knowledge and experience in providing the highest quality of service and products to our customers. Our sales representatives are more like an office manager's personal assistant. They work with the client to find the best product available based on the client's budget and individual needs. Call or email today to get your own rep.